Traditionally, enterprise IT was built as a siloed physical infrastructure. But these legacy systems have become expensive and unsustainable behemoths that impede progress—task driven and sluggish. To overcome these cumbersome inhibitors, you’ll need to bridge the performance and control of dedicated infrastructure with the flexibility and benefits of the cloud. 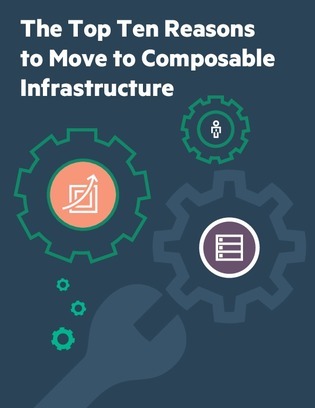 Considering this gap, discover the top 10 reasons IT architects migrate their storage to composable infrastructure. Read this resource to learn how this infrastructure quickly provisions on-premises resources and delivers app stability with software-defined intelligence, unified API, and fluid resource pools.